My parents split up when I was nine, and my father consequently went through a (brief) phase of trying to be cool. He cut back on big band jazz and started listening to pop music. I remember Melanie for sure, perhaps some Carpenters and Joan Baez. As part of the cool package, he decided to take my brother, sister and me to a concert. At the tender age of 12, my brother was hardly a man of the world, but dad knew even less than he did, so the two of them consulted a newspaper and chose…Deep Purple. The year: 1973. I was ten. If I listened to music at all, it was probably my favorite Burl Ives record. Mairzy Doats is still a very good song. The Deep Purple concert was at the Pittsburgh Civic Arena. I don’t remember much, but this is pretty much what I saw. Smoke on the Water is still a very good song. I remember that it was very loud. My brother tried to act cool. My dad stared straight ahead looking stunned. My sister curled up in her seat and went to sleep. I had to say no when the hippies sitting in front of us offered me a hit on their joint. We were all probably a little stoned just from breathing the air in the arena. It was a different time. Wikipedia says that, at the time, Deep Purple was the loudest band in the world. It strikes me now that their hair was enormous and their speakers itty-bitty. When I saw Jackson Browne and Cheryl Crowe here in Tokyo three years ago, the speakers were stacked floor to ceiling, and as the concert progressed, the volume increased exponentially until the music was nothing but painful noise. Burl Ives passed away in 1995. The Civic Arena left this sweet earth in 2012. But Deep Purple, with hair much diminished, is still performing. 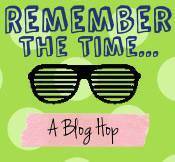 What is blog hopping? I know I could look it up, but I would rather hear it from you. It’s like the WordPress writing challenges but linked through an individual’s blog instead of through WordPress. I was getting tired of writing about Tokyo. Thank you for linking up with us this week! Turns out he didn’t. Some other guys wrote it back in 1943. It was on an album of Burl Ives kids’ songs that I just loved. I was delighted when I found the video I linked to. Wooden shoes! That’s pretty cool. I only ever played the flute, which doesn’t really do justice to Smoke on the Water. I didn’t see the Dead until I was in high school, and by then was already a dedicated fan. Now if Deep Purple had performed Mairzy Doats, we’d really have something. Or if we could train those goats to bleat Smoke on the Water. Love the images. I wonder if we could do both and get some kind of multiple harmony live action animation combination going.